The coalition British Government has unveiled plans for a welfare state offering care to all from the cradle to the grave. The Beveridge report proposes a far-reaching series of changes designed to provide a financial safety net to ensure a "freedom from want" after the war is over. Everyone of working age would be expected to pay a weekly national insurance contribution. In return benefits would be paid to the sick, widowed, retired, unemployed and there would also be an allowance for families. The architect of the report, economist Sir William Beveridge, drew on advice from various government departments including the Home Office, Ministry of Labour and National Service, the Ministry of Pensions, the Ministry of Health and the Treasury. His report was based on research carried out between the two world wars, which looked at issues like poverty, as well as old age and birth rates. He found provision for old age represented one of the most pressing problems. But there were other failings too. Medical provision was not universally available to all and Britain's achievement, in his words, "fell seriously short" compared with other countries of the world. There were also serious discrepancies in the social security system which meant an unemployed person was paid a different rate of benefit to someone who was unable to work through sickness. At a time when the war was destroying landmarks of every kind, he said, it was a "revolutionary moment in the world's history, a time for revolutions, not for patching". But the attack on want was only part of the way to reconstruction. Other things which needed tackling, he said, included disease, ignorance, squalor and idleness. The way to improvement in social security lay in co-operation between the state and the individual. In return for offering financial security, the state should not "stifle individual incentive to provide for his or her family". The amount of benefit paid should be sufficient to live on but no more. His key recommendations include a basic unemployment benefit for a man and his wife to be paid at 40s a week and 24s for a single person. There are also plans to extend social expenditure to pay a family allowance of 8s per child and to pay a working mother to take off up to 13 weeks after a new baby. A national health service would be provided offering free medical treatment and post-medical rehabilitation for all. The report estimates the cost of his social security scheme would amount to �697m in 1945, compared to �432m for the existing system. Of this increase �86m would be borne by the exchequer - the rest through individual contributions. 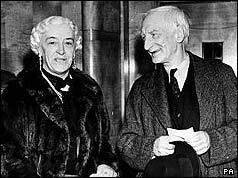 The Beveridge Report aimed to provide a universal social insurance scheme covering everything from unemployment to sickness and family allowances. It was greeted with great enthusiasm and sold over half a million copies - but the wartime coalition under Conservative Prime Minister Winston Churchill agreed to postpone planning for its implementation until after the war. During a Commons debate on the report in February 1943, Labour came out strongly in favour of all the recommendations made in the report. It was probably this which cost Churchill victory in the 1945 election and led to Clement Attlee leading the first majority Labour government. Under his leadership, the National Insurance Act was introduced in 1946, offering a state contributory pension for all, and the National Health Service founded in 1948, offering free medical care for all.